Combining Google Analytics with your online marketing efforts the smart way can increase relevant traffic, conversions and ROI for the success of your business. Our mission is to advance the field of web analytics in Southeast Asia by fostering a data-driven culture in organisations and setting the bar for tracking implementations. 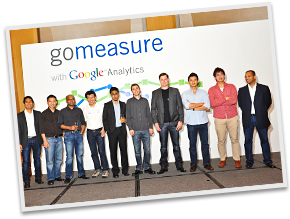 clickTRUE is proud to be the first Google Analytics Certified Partner in Southeast Asia. This means that we have a ton of experience and have the ability to produce outstanding results. We teach, partake in conferences, and win awards for branding and recognition, but it is our desire to improve the Online Marketing culture in Southeast Asia that truly sets us apart. Reap the benefits of clickTRUE’s Google Analytics expertise. Join the likes of Toyota, SPH Magazines, Canon, SMU, Poh Heng, Maybank, NTUC and Tyco – start measuring and improve your online marketing strategy with us. We only charge for the hours we put to work on your project. Measure us by our productivity as we focus on addressing your web analytics issues. Our project management tools and loose hierarchies speed up the decision-making process and allow knowledge to be quickly dispersed to everyone. This provides you with clear lines of communication directly to the people who do the thinking and the work. We are a small, nimble bunch of honest, hardworking people. If something needs to be improved or re-worked on, we say it. Then, we work together to improve things. 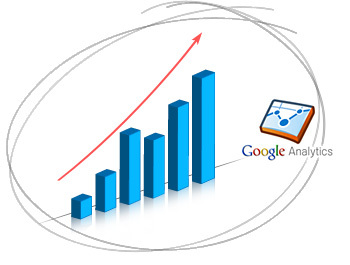 We are fully accredited and certified by Google to provide Google Analytics solutions. This means our consultants have gone through the necessary trainings and exams to solve your needs. We co-founded HardwareZone – Singapore’s number 1 tech portal – before setting up clickTRUE. Feel free to tap into our decades of online marketing experience. If you require any Google Analytics help, let us know.